New Delhi: The practice of illegally issuing Letters of Understanding (LoUs) and Foreign Letter of Credits (FLCs) and then rolling them over to favour Nirav Modi and Mehul Choksi groups started in 2008 and continued till these were discovered in January this year, according to CBI officials. The illicit activities resulting in fraud of Rs 11,300 crore occurred under the nose of top Punjab National Bank officials but they claimed to be unaware of the scam. The revelation came to the fore during questioning by CBI officials of Rajesh Jindal, who was holding the charge of Mumbai-based PNB's Brady House Branch Head between August 2009 and May 2011, Gokul Nath Shetty, a retired deputy manager from the same branch who retired in May 2017, Bechu B Tiwari (Chief Manager, in charge of Forex Department), Yashwant Joshi (Scale II manager of Forex Department) and Prafful Sawant (Scale I officer, export). The officials questions said they merely continued with the practice which is said to have started in 2008. It was not immediately clear who was in charge of the forex department when the illegal practice began. The Central Bureau of Investigation (CBI) officials said the alleged multi-crore fraud by issuing LOUs and FLCs for sanction of loan to diamantire Nirav Modi and his uncle Mehul Choksi's group of firms continued during Jindal's tenure. Jindal, posted as GM Credit at PNB's Head Office in New Delhi, was heading the second largest branch of the PNB when the practice of issuing the LoUs without sanctioned limits continued. Jindal was arrested on Tuesday night after his day-long questioning in Mumbai. He was the 12th accused person to be arrested in the case so far. The CBI investigators had managed to get his custody till 5 March from the special CBI court on Wednesday. Tiwari , Joshi and Sawant were also arrested on Monday for their alleged role in the scam and will remain in police custody till March 3. All five PNB officials arrested so far were part of the forex department at the bank's Brady House branch at the time of the fraud took place, said officials, adding these employees, in collaboration with the staff and associates of the firms headed by Nirav Modi and Choksi, commited wrongdoings for personal gains. The first FIR in the scam registered on 31 January alleged that Shetty and a single window operator Manoj Kharat, during their forex department posting, fraudulently issued eight LoUs (which are a form of bank guarantee) equivalent to Rs 280 crore on 9, 10 and 14 February, 2017, favouring the Nirav Modi companies to Allahabad Bank, Hong Kong, and Axis Bank, Hong Kong, without following prescribed procedure. It added that the funds raised for import bills were not utilised for such purposes in many cases. Shetty and Kharat, arrested last week, are currently in CBI custody until 3 March. 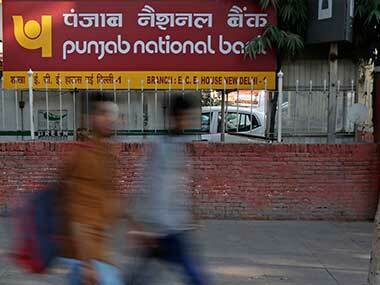 PNB's employee Tiwari, in his capacity as chief manager, was to monitor Shetty's transactions. However, Tiwari told the interrogators that during 2015-17, he did not monitor the fraudulent and illegal LoUs issued by Shetty. An offcial close to the investigation said that Tiwari issued three circulars on 19 February, 2016, 7 February and 14 March, 2017, purportedly for the sake of keeping a check on the LoUs sent through the SWIFT code of the PNB's Brady House Branch without any name. However, he neither followed it up nor took any steps to see why his instructions were not followed by Shetty, Joshi or Sawant. "Tiwar's deliberate acts of omissions led to the continuance of concealment and large scale liabilities of PNB to the foreign banks," said the official. 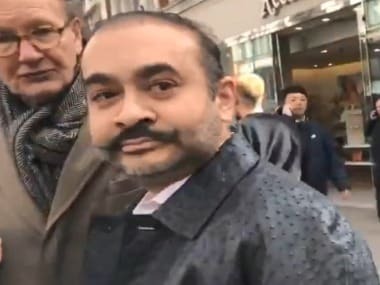 The CBI filed the first FIR against Diamond R Us, Solar Exports and Stellar diamond whose partners have been named as Nirav Modi, his brother Nishal, uncle Mehul Choksi and wife Ami-- who left the country earlier in early January. 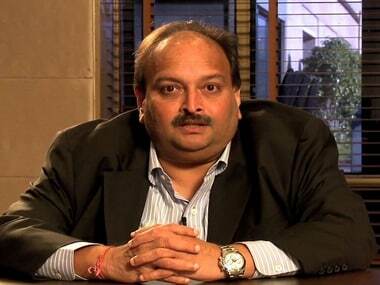 The second FIR was filed on 15 February for an amount of Rs 4,886.72 crore against the Gitanjali group headed by Choksi. 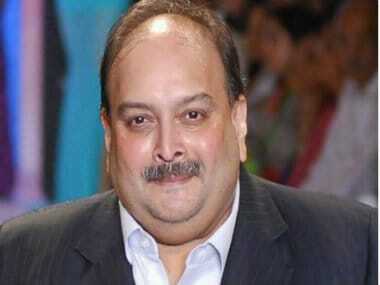 CBI officials said details of additional amounts (of around Rs 6,400 crore) would be added to the first FIR. The second FIR also names 11 directors of the three Cholksi owned Gitanjali group companies-- Gitanjali Gems Ltd, Gili India Ltd and Nakshatra Brands Ltd. The PNB fraud came to light on 16 January when officials of Nirav Modi companies approached the bank for buyers' credit without collateral saying they had been getting such facility for years. The bank said that the official who had earlier allowed such illegal facility through LoUs and FLCs had retired by then, and on checking by officials, the whole fraud unravelled.